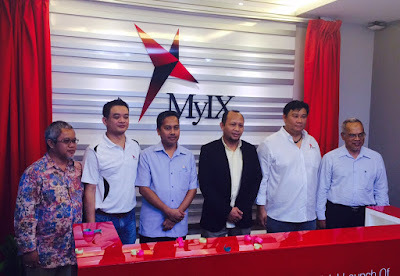 Malaysia Internet Exchange (MyIX) or also known as ‘Persatuan Pengendali Internet Malaysia’ – an initiative under the Malaysian Communication and Multimedia Commission ('MCMC'), today shared insights into Internet data patterns recorded in Year 2015 that transversed (or ‘peered’) over the National Internet Exchange nodes that directly connects with the country’s major ISPs and content providers. This Internet data traffic insights is shared at the official launch ceremony of MyIX’s new office in Setiawalk, Puchong. Chiew says that a major driver for the increasing Internet consumption amongst Malaysians is attributed to the prominent trend in mobile Internet surfing. This is supported by the rapid expansion of 4G networks in line with the Minister’s 58 percent LTE coverage KPI for end 2015, which has been exceeded. By working together with Asia Pacific Network Information Centre (APNIC) - the not-for-profit regional Internet registry for the Asia Pacific region, MyIX aims to provide technical training workshops to enrich the skills of technical employees of the telecommunications industry.